Yesterday (April 16), Kelly told CNBC's "Fast Money" that, though a $250,000 Bitcoin "sounds crazy," it's really not if you look at the cryptocurrency's past movements. "Think about it this way," he said. "[2022 is] four years from now. That's a 3,000% return from here – which, again, sounds crazy. But over the last few years, Bitcoin's had a 4,000% return." Indeed, since April 2013, Bitcoin has risen 9,017%. And it's gone up 580%, or $6,909, in the past year alone, even after the nasty fall from its December 2017 high of nearly $20,000. 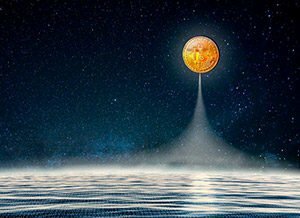 Kelly's $250,000 Bitcoin price forecast followed crypto guru and hedge fund manager Tom Draper's, who made the same call at his cryptocurrency celebration, "Blockparty," on April 13. Draper has a knack for long-term Bitcoin predictions. He correctly pegged Bitcoin's price way back 2014. That's when the investor correctly predicted Bitcoin's value would surpass $10,000 in 2017, from its then-value of under $320. And sure enough, he was right. "Adoption will drive the price higher," David says. "Right now, only a tiny fraction of the world's population owns any Bitcoin. Adoption doesn't need to increase by much to have a big impact." David would know a thing or two about profiting from Bitcoin's surges. He "adopted" crypto investing in 2011, when he started mining the digital coin. The price range at that time wavered between $5 and $20, which means he's seen peak gains of at least 95,925% on his initial investment in the years since. And to David's point, Brian Kelly noted that an increase of institutionalized crypto investments in particular – such as Rockefeller Capital Management, Goldman Sachs, and the Soros Fund Management – may very well act as volatility dampeners. This means that, as more reliable sources of income pour into Bitcoin, the more stable the coin's value will be. In turn, cryptocurrencies could quickly become as popular and useful as actual currencies. And once that's achieved, it's an easy ride to $250,000 and beyond. And we know exactly what's going to get those institutional investors on board. Nobody's talking about it yet, even though it is the single most important catalyst for Bitcoin right now. Investors looking to repeat Bitcoin's already incredible gains can't afford not to know about it. At our recent "Bitcoin 20X Summit," we uncovered information that left many folks stunned – and reevaluating everything they thought they knew about the crypto market. You see, while Wall Street and Fortune 500 companies continue to badmouth Bitcoin, they're diving headfirst into this craze… and we'd bet not one in 10,000 people knows the reason behind it. I like to know more about crypto-currency investing. Wisdom and knowledge is what I need more of.